The electric, neon typography of the Thor: Ragnarok trailers was just one of many things that got us hyped about the Taika Waititi film – Cate Blanchett’s Hela being 99 percent of those other ‘many things.’ Marvel took that psychedelic aesthetic even further with the new poster that dropped at Comic-Con last month, glowing with phosphorescent color. 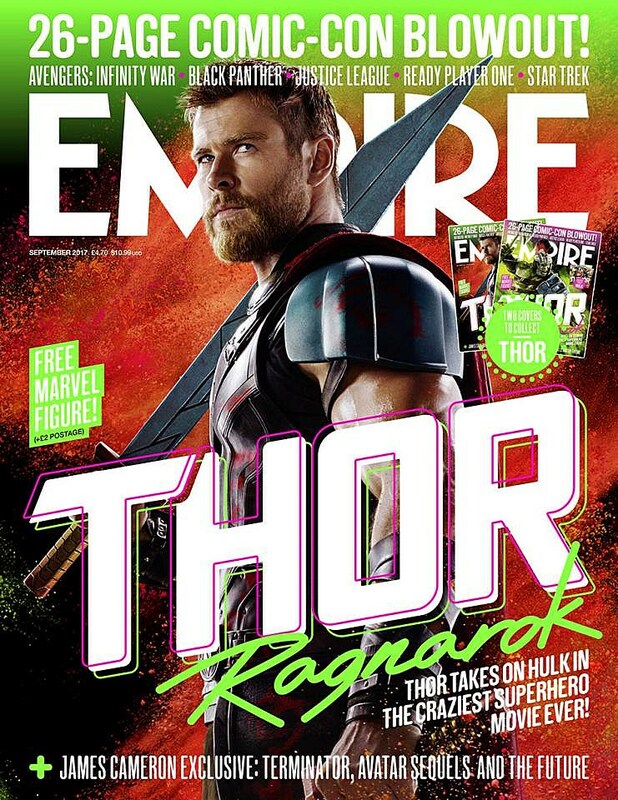 Hopefully you’re not tired of that look just yet because Empire magazine debuted two new Thor: Ragnarok covers full of colorful neon. 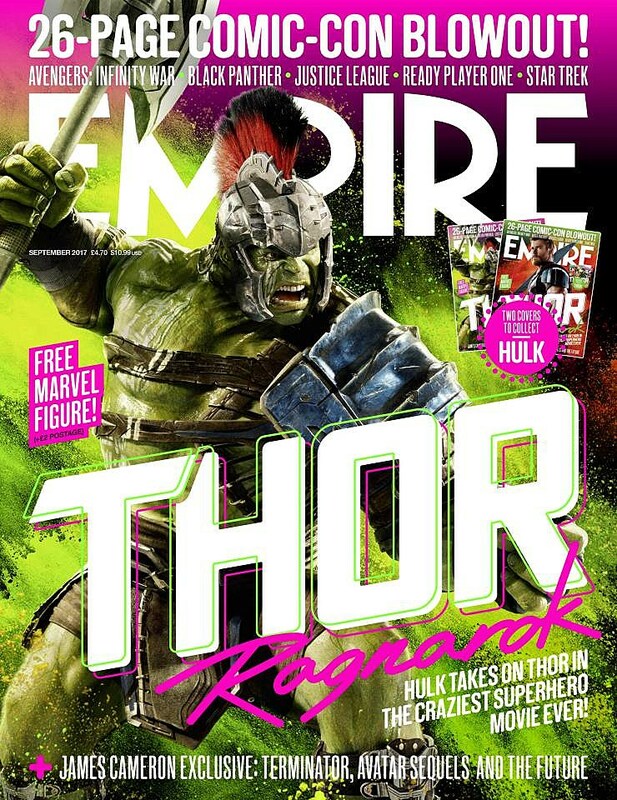 Inside the latest Empire issue you’ll also find a handful of new photos of the Ragnarok cast. Tom Hiddleston’s Loki looks deep in thought with Hemsworth in one, Tessa Thompson’s Valkyrie looks as cool as ever in another, and a Jeff Goldblum indulges in all his gold and shiny-lip glory as the Grandmaster. Thor: Ragnarok, which also stars Idris Elba and Anthony Hopkins, hits theaters November 3.